IndyCar driver Justin Wilson dies of head injury from crash. 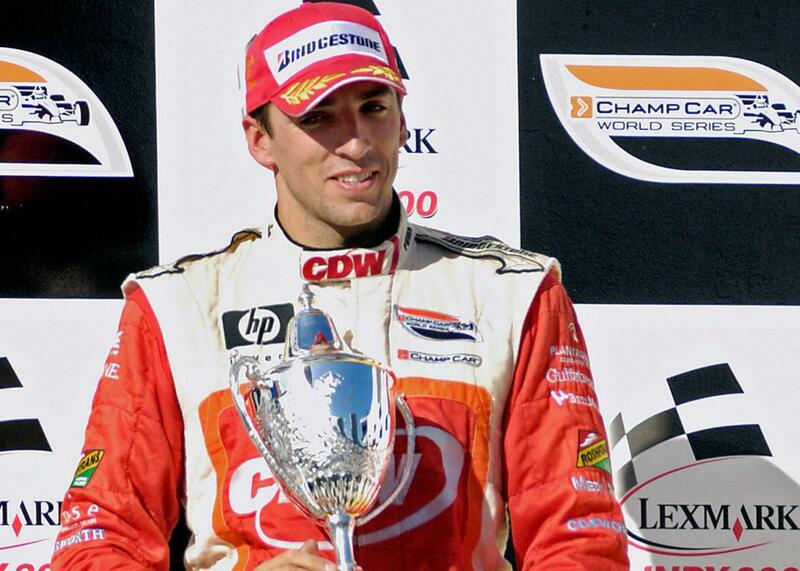 Justin Wilson on the podium after the Australian leg of the Champ Car World Series in Oct. 2007. IndyCar driver Justin Wilson died on Monday evening after sustaining a head injury from a gruesome crash Sunday during a race at Pocono Raceway. The 37-year-old English driver was in his eighth year on the IndyCar circuit and is survived by his wife and two young daughters.